Not everybody' is created equal. Before you start your nutrition regimen, it's always a good idea to figure out your Body Type. This will help you tailor your diet better and set realistic and attainable goals. Ectomorph: They are distinguished by a lack of much fat or muscle tissue. Mesomorph : This is marked by a well developed musculature. Endomorph : This is characterized by a preponderance of body fat. Everybody is different since we all have different genetic and cultural traits. If everyone ate the same things and started exercising similarly, we would not look the same. This is because each person's genetic inheritance influences their bone structure, body size, shape, and weight differently. Thus, every body type should eat differently as per what appeals to them. 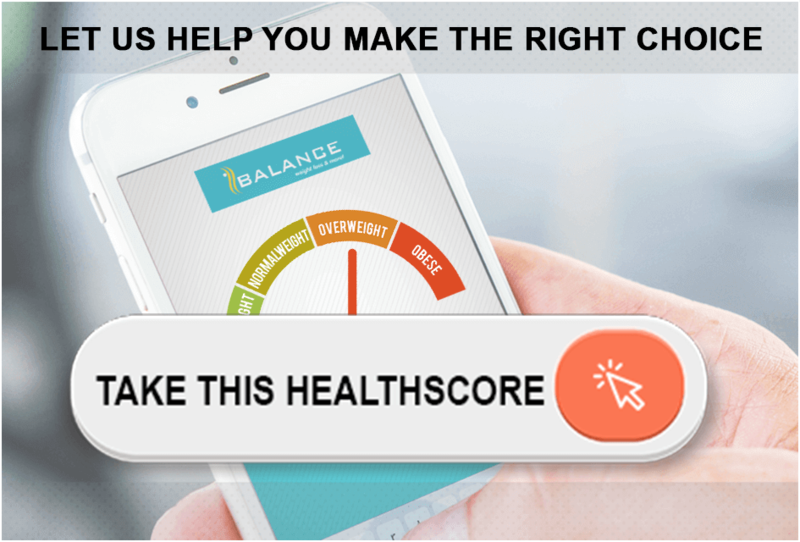 This will not only maintain one's healthy weight but also prevent any kind of eating disorders. Proper nutrition is very important, especially for those who consider themselves as "Ectomorphs". 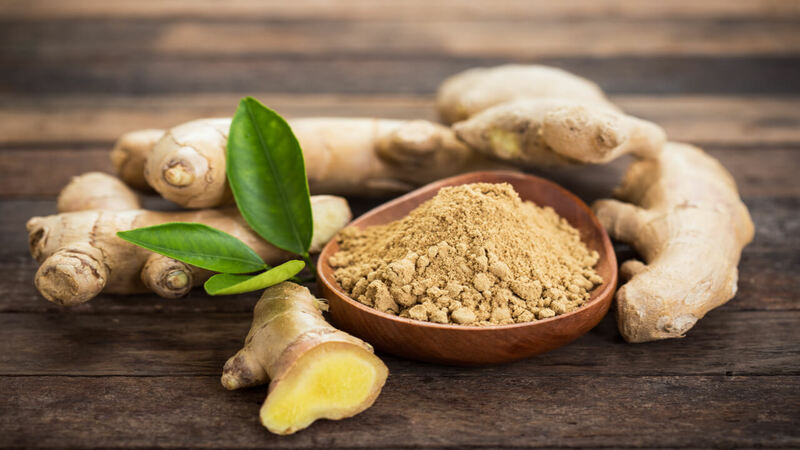 It typically means that they have a faster metabolism , a tough time gaining body weight and higher overall caloric needs. An ectomorph must typically start his or her diet plan by following the main principles for big gains in muscle size and strength. Avoid fatty foods, especially animal fat, cold cuts, mayonnaise, full-fat dairy, rich desserts, packaged foods, chips. As an Ectomorph, the ideal nutrition consists of about 55% of complex carbohydrates (whole grains, rice, nuts all vegetables), approx. 30% quality proteins (whey, chicken, eggs), and up to 15% healthy fats cold-pressed virgin olive oil, flaxseed oil and good omega 3 sources like fish and sea food. As a mesomorph, you are likely to put on muscle easily and also easy to gain and lose body weight. However, mesomorphs yet need a targeted diet plan that helps them avoid fat gain and improve overall health. 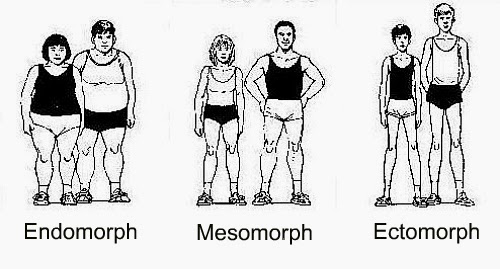 BALANCE is very important for a mesomorph, who falls between an ectomorph and an endomorph. Avoid fatty foods (full-fat dairy, fatty meats, cold cuts, mayonnaise, very rich desserts,) and minimize as much as possible refined carbohydrates (sugars and white flour products), as they cause rapid weight gain triggering a fat-storage metabolism. As a Mesomorph, you should eat 3 smaller meals favouring foods high in quality protein (whey, chicken, eggs) and complex carbohydrates (leafy greens and non-starchy vegetables). Approx. 45% complex carbohydrates, 35% quality proteins and up to 20% healthy fats; use cold-pressed virgin olive oil and flaxseed oil in salads and get used to cooking with rice bran oil. Include fish and seafood, as they are good omega 3 sources-omega 3 and weight loss connection is well-known. In between meals get a healthy snack: fruits (except the sweet ones, like bananas, pineapple, grapes, mango, watermelon), raw almonds, plain yogurt or various smoothies with the right foods for you, as above. Out of all the three body types, Endomorphs have the greatest tendency towards roundness. Being an endomorph, obesity is very common in males in females. 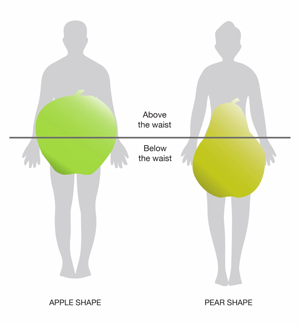 "Apple shaped obesity" is more commonly seen in males where there is excess fat in and around the belly, while "Pear shaped obesity" is commonly seen in females with excess fat on the hips and buttocks. As an Endomorph, your nutrition for losing weight should be roughly up to 30% complex carbohydrates (starchy vegetables, brown rice, whole grains), about 45% quality protein (chicken breast, whey protein) and about 25% healthy fats: omega 3 sources (fish, seafood) and rice bran oil, which helps to increase your sluggish metabolism. Also, to keep your metabolic rate up, pide your daily meals into smaller portions so that you have something to eat handy every 2-3 hours. Endomorphs should avoid all types of sugar which includes all fruits except berries and simple carbohydrates such as white flour products and pasta, white rice, potatoes, etc. because they raise the blood sugar level, which then triggers the release of insulin, the fat-storage hormone. Don't eat till your stomach is completely full after a meal. Endomorphs should have higher fat and protein in everyday diet with carbohydrate content being controlled and properly timed (e.g., after exercise). So, their motto should be- more fat and protein, less carbohydrate. A nutrient distribution for this body type might be around 25% carbs, 35% protein, and 40% fat. KNOW YOUR BODY TYPE - YOUR DAILY NEEDS ARE AS IMPORTANT AS YOU ARE !! Being a member of The BN FAMILY Insiders Club, we provide exclusive recipes that are tasty and healthy. Check out the 5 Best Dessert Recipes to end the year in style.